Welcome to Adria Charter Croatia! Without hiding their pride, the people of Split will tell you that their city is "the most beautiful one in the world and beyond". You better not discuss this with them for well spirited Split will convince you in this as soon as you discover it! This for ever young city with the population of about 200,000 that give it its warm Mediterranean temper, has lived its urban rhythm for as long as 1700 years, with its heart in the Diocletian Palace and its soul widespread to embrace you. Ever since the life of the city protected by the UNESCO and entered into the register of the World Cultural Heritage has been writing the history of this unique capital of Dalmatia. The city of Split is situated in the warmest region of the northern Mediterranean coast, in the very centre of the Adriatic eastern coast and in the immediate vicinity of the rivers Jadro and Žrnovnica that have been watering it for 1700 years. Its mild climate, with 2700 sunny hours per year, makes it an oasis where, sheltered from the wind, sailors can enjoy the sun even in wintertime. Maslinica is a seaport on the west coast of the island of Šolta. The course of the coast is divided into many little bays with beautiful pebble beaches (Tepli bok, Soskova, Poganica, Vela Luka). This quiet cove has changed its fishing tradition for the tourist one, while local food is served in the authentic taverns prepared in the traditional way. The place is surrounded with varied Mediterranean plants, while olive trees preserve the tradition of an old island craft - olive growing. Summer holidays in Maslinica ("maslina" = olive) provide a quiet rest in the vicinity of attractive excursion destinations: the islands of Hvar, Korčula and Vis, and the towns of Split, Makarska and Dubrovnik. The Blue Grotto or Blue Cave (Croatian: Modra špilja), is a water-logged sea cave located in a small bay called Balun, on the east side of the island of Biševo and about 4.5 nautical miles (8.3 km) from Komiža, in the Adriatic. It is situated in the central Dalmatian archipelago, 5 kilometers south-west of the island of Vis. The grotto is one of the best known natural beauty spots on the Adriatic and a popular show cave because of the glowing blue light that appears at certain times of day. Depending on the season, the ideal moment to visit the cave is between 11 a.m. and 12 p.m. At this time of day the sunlight reflects through the water coming from the white floor of the cave and bathes the grotto in aquamarine light, while objects in the water appear to be silver. The town of Vis is located in the north-eastern part of the island Vis in the bottom of a well protected bay. It developed from the former settlements Kut and Luka, which became one entity in the 16th century by the building of the church Gospa od Spilica. Island Vis, the beauty of limpid waters and protected submarine world rich with sunken ships and magic marine images that has been hidden for years. Relax on secluded beaches of numerous peaceful bays, in transparent blue sea and under the hot sun of Vis. Many visitors, and especially the yachtsmen, are coming more and more to Vis. In every moment you can see changes in life-style, but at the same time Vis has kept the old, irresistible Mediterranean charm and life without stress and trouble. Vis hides much more interesting details, which are waiting for you to discover ! The oldest and most famous Hvar’s resort and the nautical marina. Palmižana (Vingradišće lagoon precisely) is a spacious lagoon with shallow and sandy beach as a part of Pakleni Otoci. It is surrounded by the thick, pine forest, fragrant heather and rosemary bushes and various, exotic plants. Palmizana’s richness comes from the Meneghello family which for over a hundred years has been devoted to creating a paradise of cultural tourism, preserving nature and untouched beauty. Renowned for the absence of cars and with extensive footpaths and trails, kids can run around safely, parents can relax with no worries, and lovers can discover hidden bays and crystal-clear sea. Here nature is still pure and pristine with few reminders of the modern world. You can leave the world behind, snoozing at midday under pine trees edging the waterfront. Here you can find perfect rest, restore your inner peace, strengthen your body and rejuvenate your mind. Sail to Palmizana because it is an ideal location for everyone! Vrboska,Hvar Along a narrow and curving fjord , unusual only as wonders are on Hvar island, there lies Vrboska – the smallest town on the island. But even if it is the smallest, Vrboska is the treasure of the island. Founded in the 15th century, it is often reffered to as "Little Venice" due to numerous small bridges. From the entrance, which is its widest part, surrounded with thick pine forest, it narrows curving into a canal along both sides of which are situated picturesque architectural objects of Gothic, Neo- Renaissance and Baroque style. The narrow, curving, streets, the pine forest, the stone buildings and a small islet in the middle of the cove, bathed in sunshine and hidden in the depths of the bay. An image resembling those from old postcards… This little place will bring life back to a tiresome body, and necessary peace to one's spirit. Everyone can verify this by coming here. The Vrboska area was inhabited even in ancient times, to which ruins of Roman building testify. It grew from a fishermen's village and harbour to a place called Vrbanj (hence its own name Vrboska) in 15th century into a small town which outshines even the bigger and better known places on the island by its beauty. Vrboska is comprised of two parts. Pjaca (eastern part) and Podva (western part). Typical Mediterranean local architecture of small houses on both sides of the canal connected to old town houses from the periods of Renaissance, Gothic and Baroque, as well as old churches on one side of the canal and rich villas on the other side gives the place special charm and warmth. A rich fishermen's tradition in Vrboska can easily be seen in the local gastronomic offer. Healthy food from surrounding fields and freshly caught fish with home-made olive oil and aromatic herbs represents a unique gourmet experience. Add a glass of one of Hvar's well known wines and the experience is complete. Bobovisca lies one kilometer from the sea, in the interior of the western side of the island of Brač that is connected to Split and Makarska by daily ferry lines. The closest tourist destination is Milna and the closest swimming beach is one kilometer in the bay of Bobovisca. The inhabitants, some 60 of them in total, live of olive and wine growing. If you are looking for a quiet holiday in private accommodation, Bobovisce is the right destination for you. The small harbor is safe for smaller boats. We recommend various water sports.Come to picturesque Bobovisca and breathe in a unique Mediterranean atmosphere and the spirit of this picturesque historic town! Had a great time, lovely boat and friendly staff! - Bavaria 40 "Crazy Love"
We recomend this great company - Bavaria 40 Cruiser "Allure Voyage"
It was our first boat experience. We just loved every moment of this experience and discovered these magnificient islands of Croatia, with the beautiful nature, the rich culture, the tasty foood and wine. We had a really great time and enjoyed every moment with llijana and Josko. Our sailing trip with Josko and Ilijana was absolutely magnificent! Ilijana was doing the cooking for us and we liked her typical croatian, dalmatian dishes a lot! We will definitely try to come back as soon as possible! Thanks a lot to both of them for this very special and wonderful trip! That was one of the best sailing weeks ever. On the boat everything was working perfectly. 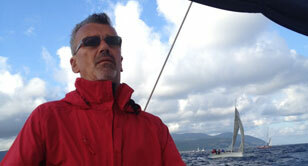 During the journey we had great support from Adria sail Charter team , Ilijana and Josko! We enjoyed out trip and felt secure - Bavaria 40 "Crazy Love"
Everything was perfect, we would have liked to stay longer. 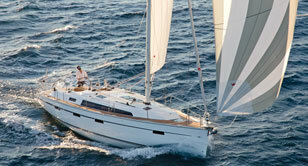 NEXT STAY WE SURELY WILL - Bavaria 44 "Sreca"
Excellent boat, extraordinary and friendly staff, always on our service. Recomendation!- Bavaria 44 "Sreca"
Super team, will always recommend it! - Bavaria 40 "Crazy Love"
New Bavaria 37 with Air condition! For the upcoming 2017, we are expanding our offer with 2 new Bavaria 37 sailing boats! 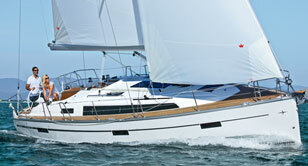 We have a new boat added to our fleet: New Bavaria 41! Adria Sail is the best Charter! We are the best charter company from Croatia second year in a row! Adria Sail Charter, All rights reserved. Web Design: Medijska Osobnost d.o.o.